“Unfortunately there were a number of casualties amongst people that our family knows, which has been difficult for the kids. A girl in our son’s class that also rides the kids’ school bus was wounded, and her father was killed. “A student a year younger than our son was wounded and his mother was killed. A student that the kids know from a different school was shot and severely wounded, and his mother and a sibling were unaccounted for as of the last time we received news. “The al-Shabab terrorists who seized a Kenyan shopping mall for four days tortured, maimed and mutilated some of their 67 victims, leaving a tattered scene of ghoulish, gruesome remains that investigators likened to scenes from a horror movie. These sad stories serve to remind us all of the priceless of piece of mind that we enjoy particularly in Zimbabwe and generally in our SADC region. While some people are of opinion that the placid persona of Southern Africans is the primary reason for our relative tranquility, I must reiterate that the SADC politics, defense and security framework to date has contributed to relative regional stability. 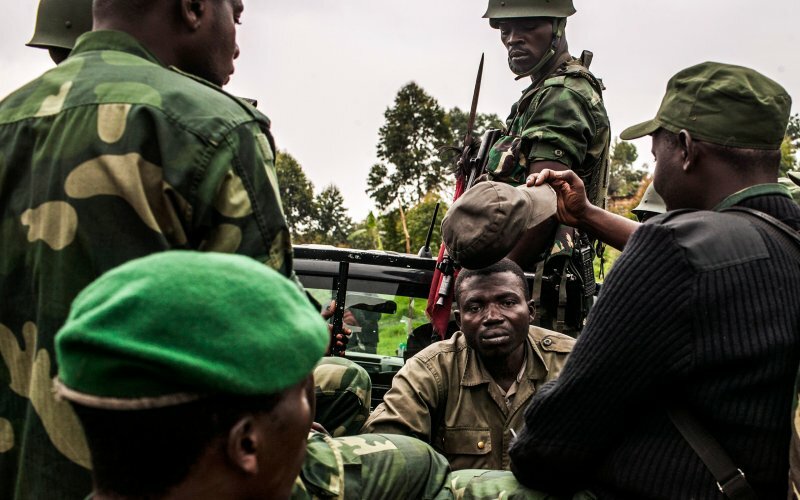 M23 rebel fighters (who were largely responsible for widespread war crimes in the Democratic Republic of Congo (DRC) including summary executions, rapes, and the forced recruitment of children) were in 2013 successfully defeated by forces consisting of SADC troops. Following the Madagascar coup, SADC intervened as a political mediator. The regional body suspended Madagascar’s membership, and explicitly supported ousted president Ravalomanana as the elected, constitutional head of state. The then executive secretary of SADC, Tomaz Salomão, called on Rajoelina to vacate the office of the president as a matter of urgency and this paved the way for the unconditional reinstatement of President Ravalomanana. Furthermore, SADC threatened sanctions and even discussed, albeit quietly, a potential military intervention by its standby brigade, SADCBRIG. Ultimately, after mediation efforts to ensure constitutional order returned to Madagascar, the SADC suspension of Madagascar was lifted. International reports noted this as “a victory for the SADC’s much-maligned “quiet diplomacy”. In 2008 Zimbabwe was submerged in a crisis characterized by economic meltdown, and disputed elections. Faced with internal instability and international isolation, it was SADC’s mediation in Zimbabwe that brought about the Global Political Agreement (GPA). The GPA returned the country to normalcy and gave birth to a new Zimbabwean constitution prior to the July 2013 elections. Analysts have observed that “SADC’s involvement in Zimbabwe… [was] to support institutional and constitutional reform, prepare ground for credible elections and continue policing the political developments.” Arguably, SADC’s mediation mandate in Zimbabwe was achieved, and Zimbabwe was struck off the SADC crisis agenda in August 2013. The aforementioned examples perhaps demonstrate the importance of SADC’s regional intervention in political and military matters. It is in the light of an increasingly worrying global trend of terrorism and radicalism on the part of extremist groups that are willing to use unjust, unconstitutional and violent means to achieve their ends that SADC state should seek to reaffirm their cooperation in terms of political interventionism and regional security.